Most of us are big fan of Flow but at the same time we miss a lot of obvious features like lookup fields, model dialogues etc. This blog post might bring excitement and motivation to give more attention and love to Flow. Around 3 years back, I had written a post on how to create a lookup component in Flow. That solution was just a workaround without user friendly experience. Lets focus on better user interface today, In this post we will give lookup field ability to flow by simply reusing existing Lightning Component. Click here for animated image showing Flow in action supporting Lightning Component. Most obvious idea to improve Lightning Component Performance is to avoid server trips. Let’s say, you need to know the queue Id to be assigned as owner in Case and also need custom setting information to derive the behavior of Lightning Component. 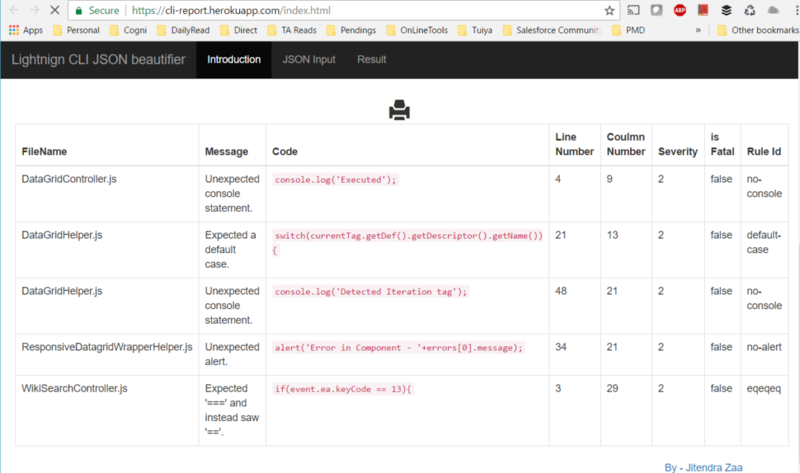 There are two ways to achieve this – Call Apex Controller two times vs return combined results from Apex in single call and process JSON in client side controller of Lightning Component. Salesforce Path is awesome feature, where you can display picklist value at top of record page and on click, it updates value in Salesforce database. However same solution does not fit in all scenario. Consider situation where picklist field is supposed to be changed by some other process or Integration. Now you don’t want anyone to change it from user interface. Even though you like Salesforce Path to show summary at top of page however it won’t be useful in above scenario. Now think about it. Only thing I got is Record Id. How would I know Object Name ? How would I know all picklist values for field name supplied ? With the help of this post, I will get Object name on basis of record Id. And, with the help of this post, I will get Field Description. Hopefully you got it, I am talking about Dynamic Apex here 🙂 . Best Practices for Salesforce Lightning Component. How Lightning Data Service can improve Lightning Component performance and solve inconsistent data problem without writing single line of Apex code. Demo source code, image and slides included. 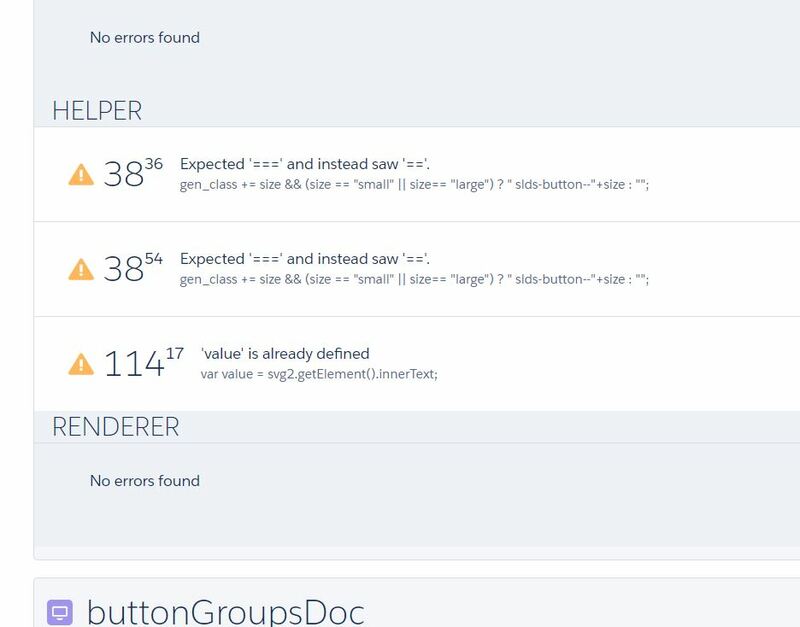 If you have worked on Visualforce and started playing with Lightning Component, you must have identified one important missing feature, which is standard Controller. Lets assume a scenario, you have two Lightning Components on Account page. One Lightning Component is used to show some fields and other component is used to edit same record. To achieve this, both Lightning components would invoke Apex method separately at the cost of performance, by issuing duplicate server calls. Below image depicts problem, where multiple Lightning component requests same content by making separate server calls. In this post we will create simple and powerful Text Slider Component in Lightning. Update : We can use this heroku app to scan Lightning component online and get code review feedback. Complete source code is available here. We don’t need to install Lightning CLI until its project compliance issue. In this post, we discussed that how Lightning CLI can be used to get a code review information of custom Lightning component. However, code review is either printed or exported as a file in text or JSON format. Question is, how to get Lightning component code review feedback in HTML or PDF format ? I tried various options available here however there were no way to export code review feedback generated by Lightning CLI. Output generated by Lightning CLI is not presentable to business executives or clients.